Although the last reel is a little disappointing, the twist ending is a scream. More concerned with stretching nail-biting suspense to the breaking point than finding new ways of making heads explode. The House of the Devil is really a romance: a love letter to the kind of gal we thought had given up the ghost. West's assured way with widescreen framing, long takes and silences followed by sharp if explainable noise are almost cruelly funny in their heart-stopping pleasures. After years of vivisectionist splatter, here is a horror movie with real shivers. West avoids cliché and cheesiness with wise casting choices. 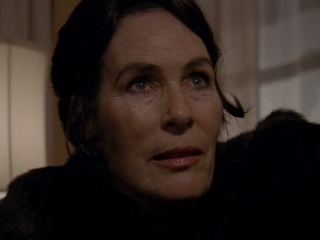 Donahue's naturalistic performance is as persuasive as the subtly sinister portrayals by Tom Noonan and Mary Woronov. A slightly faster set-up, and slightly more drawn-out climax, would make this even better. Writer-director Ti West's crisp, economical, satisfying little horror pic reclaims the pleasures of the kind of old-school formula that the jokey Scream franchise deconstructed into satire. When the Karo syrup finally hits the fan, the film loses its footing some, but only because no concrete explanations could possibly do justice to West's expert buildup. Gravely gorgeous in the style of a storybook Snow White, Donahue gives eloquent reaction shots and nails West's pièce de résistance -- a bounding, Walkman-soundtracked, Jazzercise dance through the house. The classical structure slowly builds tension before erupting into a decisively gory finish, harkening back to a smarter and more nuanced era of spooky storytelling. Call it the best '80s babysitter-in-peril movie never made.